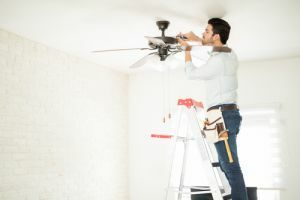 Your ceiling fan is a great appliance to swing air around the room and keep you cool, but it can also move unwanted dust if it’s not clean. 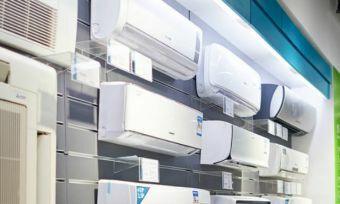 Regular maintenance can help improve the air quality of your room and keep you cool during the warmer months. Read on for the steps required for a weekly, monthly and annual clean of your ceiling fans. 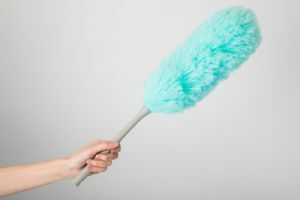 Dust accumulates pretty quickly, so as a weekly task, dust the fan blades with a feather duster. It might help if you have one with an extendable wand to help you reach up high, otherwise you might need to use a ladder. Other DIY tools you might like to try is a pillow case, which allows you to remove the dust from both sides. Simply place a pillow case over the blade and glide it down lightly, ensuring you don’t damage the blade. Shake off the dust outside and throw the pillow case in the washing machine. On a monthly occasion, it’s recommended you clean your fan blades more thoroughly with a vacuum. 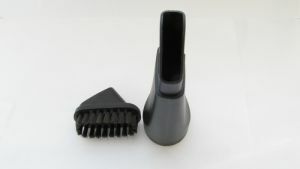 Your vacuum may have additional attachments to help make this task easier, such as a crevice tool or round brush. Furthermore, you should assess how the fan is operating. If it’s wobbling, this is a sign that there’s an issue. Ensure to turn the fan off and check that all screws and fittings are tight. If it’s still wobbling, use the fan’s balancing kit, if this is available. Blades: clean fan blades and fan switches with a damp cloth. If necessary, use a multi-purpose cleaner to remove any grease or other dirt that may have accumulated. Its recommended you rinse the cloth after each blade and repeat if needed. Then dry the blades with a clean cloth. Motor: lubricate moving parts and motor following the manual (if required by your particular model). Use a can of compressed air to blow dust out of the motor and housing. Lightbulbs: change lightbulbs if required or wipe them with a dry cloth to ensure maximum brightness. Glass shade: remove the light glass and wash in warm, soapy water. Rinse and dry completely before refitting. Assess operation: tighten screws, clips and any fittings that may have come loose. This is particularly important if your ceiling fan is fitted with a light. Fan direction: you can also use this time to switch the direction of your fan. Locating the direction switch on the motor housing and flip the switch. Clockwise warms a room and counter-clockwise cools a room. You might find that you need to do the above steps a few times a year, perhaps before the winter or summer seasons.